2. 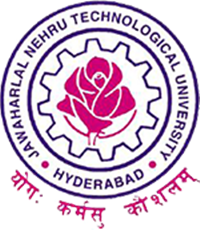 This Notification is exclusively for the M.Tech/M.Pharm R15 Regulations regular students whose Project dissertations are uploaded on or before 06.09.2017 to the JNTUH project thesis uploading portal for anti- plagiarism check. 3. All such dissertations will be processed with anti-plagiarism software at university Examination Branch and the results will be mailed to the respective colleges. Only those projects for which the matching content (from all sources) is less than 30% will be permitted for conduct of Project –Viva Exam. Is anyone here available to reply or its like robot site? Is any 2nd chance for 1st attempt rejected students in plagiarism checker.Thanks please update. My project was rejected in plagiarism check, what should i do next? Is there any time period for resubmission of my rejected project? Or should i do a new project again? it is taking another academic year to viva voce exam. So, R15 batch is a 3year M Pharmacy program. How much more time should we wait for the plagiarism result and viva dates? When r15 batch report sent to college and Viva date ? When the results of anti plagiarism will be sent and when viva will be conducted if everything is fine…give us an expected date plz ..
Did u get any update regarding this? Sir please extend the project uploading date ..
any chance to extended date for anti- plagiarism check.